I’m sorry for the quality of the photos. 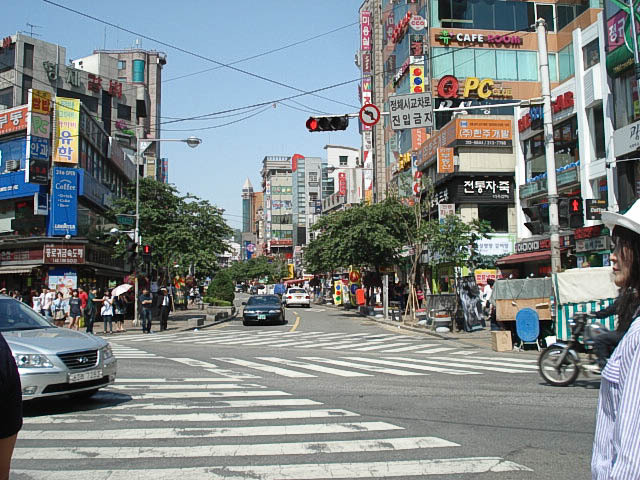 But I took these in Sinchon area around summer 2009; as per usual I had gotten myself lost when looking for some amusement. 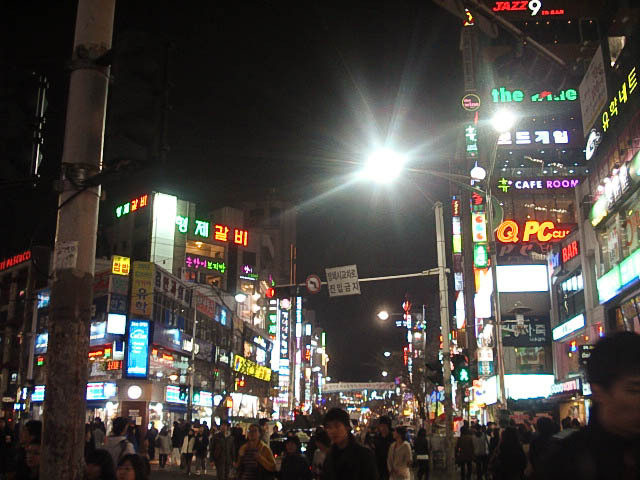 Sinchon is known to be a great spot when one wants exciting nightlife, brimming of people and second only to Hongdae in its vicinity. So I was a bit disapointed when all I found was a half-empty street. 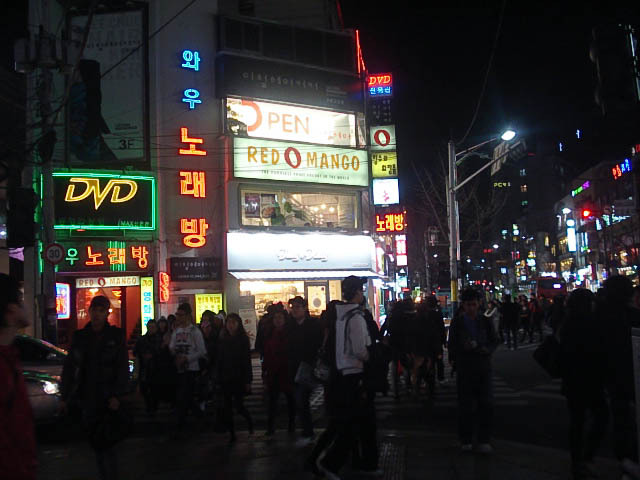 Couldn’t someone have told me that Seoul’s nightlife awaken only after 6p.m.? 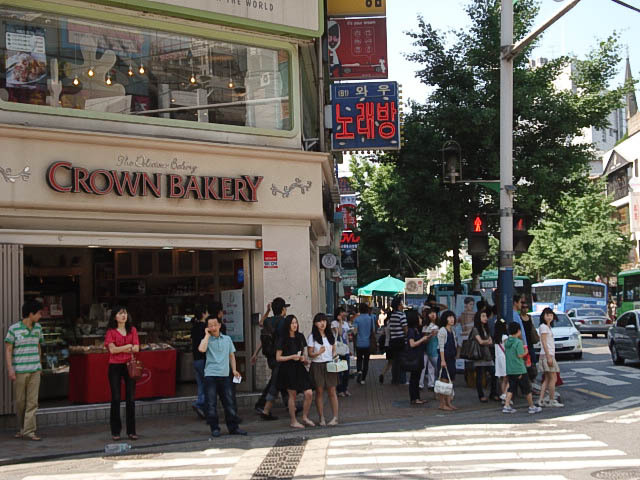 Take a left here, and turn right at the corner if you want to find a great underground-karaoke shop with big nice rooms for 20,000KRW. Underground as in it’s in a cellar, it’s not illegal! Same street at night, in Winter.